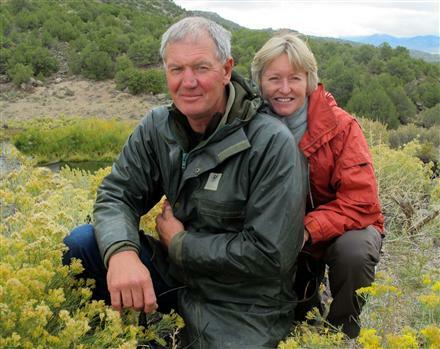 Adrian first started guiding in 1974, when he was professionally meat hunting and commercially fur trapping. In 1988 Adrian and Wendy moved to Taupo and started Outfitting full time. A lot of hard work and determination tuned a dream into a reality and Adrian has been fortunate to guide hunters from all over the world and from all walks of life to fulfill their dreams. A lot of the enjoyment has come from game management on properties and seeing the wildlife thrive and flourish along with making many friends along the way. After 25 years on the hills it was about time to "semi retire" from the guiding and pass the batten on to Brent. 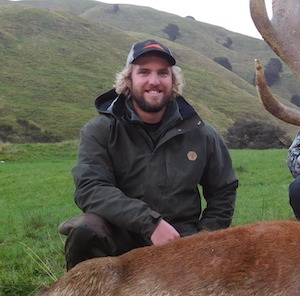 Adrian is a farmer and rancher and turned his day to day attention to this but still likes to take people out from time to time and of course, tell a few tales from 'the good old days' around the dinner table of an evening with our hunting guests. Adrian's other hobbies include duck hunting (he still guides all the duck hunters! ), fishing and diving for crayfish and abalone which he likes to share with our guests! 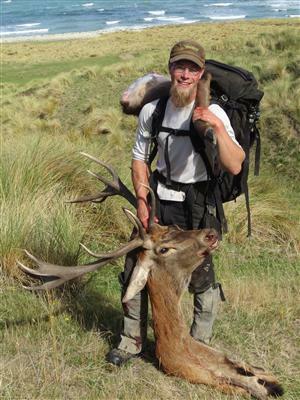 Adrian is the past president and executive member of the New Zealand Professional Hunting Guides Association. Wendy is host here at Mountain Hunters and makes sure that everything runs smoothly, no one goes hungry and everybody feels like part of the family. She has been hosting hunting clients for many years and enjoys making new friends every season. Wendy makes sure the non-hunters have plenty of activities to do and enjoys taking ladies on day tours and sightseeing trips. She also prepares delicious meals from your wild game and her very prolific home garden. Wendy goes under the title 'logistics manager' because she organizes everything and keeps the boys in line! Matt has been guiding with us for 5 seasons and professionally for 15 years. 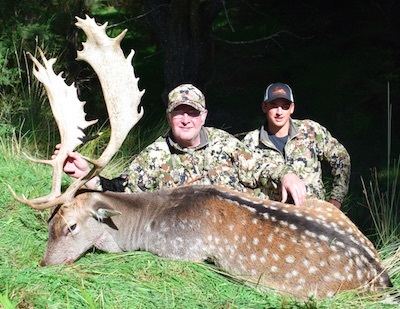 He runs all the free range hunts on our 16,000 acre coastal lease for Red Stag and Fallow buck. He is an Alaskan resident and outfits on Bear, , Mountain Goat, Moose & Caribou. He also guides in Montana every year on Elk, Bighorn sheep, Mule deer and Whitetail. He has a vast wealth of experience, knowledge and hunting skill. He is also a mountaineer, rafter, jet-boater, pilot, skier and all round handy man! 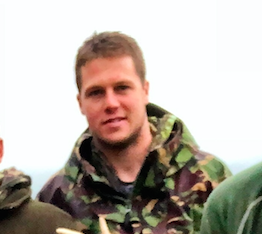 Josh has guiding with us for 2 years, he is a great member of the team, is a very good judge of trophy animals and loves a bit of friendly banter over a couple quiet beers in the evening.. When he is not guiding hunts he can be found diving for crayfish and abalone or building houses..
Had a wonderful NZ experience. Thank you Brent and family I appreciate the opportunity we had to... Had a wonderful NZ experience. Thank you Brent and family I appreciate the opportunity we had to visit. The meals and accommodations were great and top notch animals and plenty of them. You answered all my questions about NZ. Thank you.